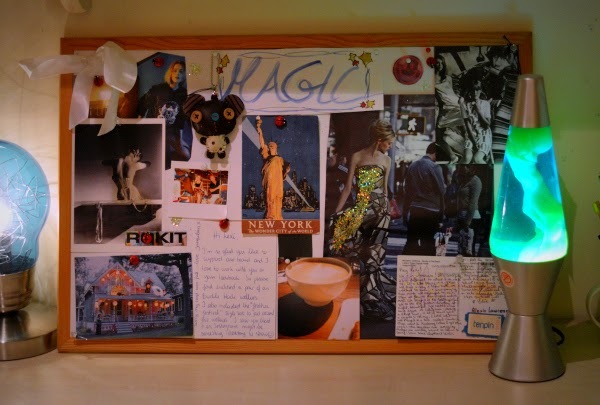 I've been making moodboards for years. They are fantastic ways to visualize aesthetics or concepts in your head. 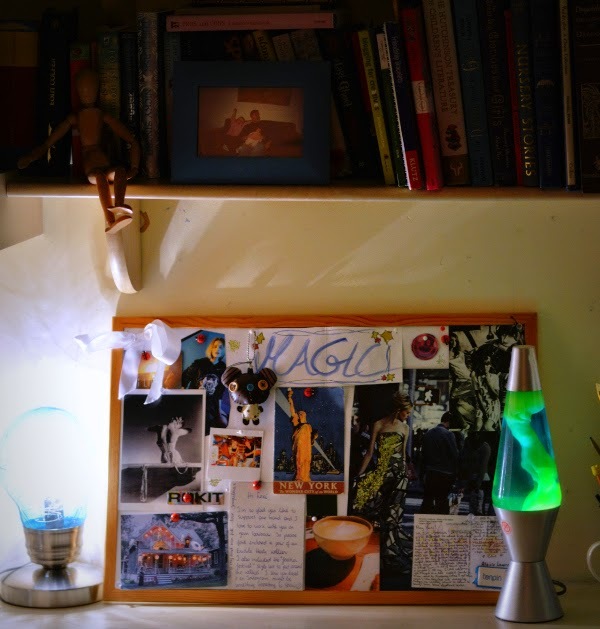 I also love collecting all my favourite things and inspiration into one, even if the themes all clash. I thought today I'd give you some tips on how to make one. 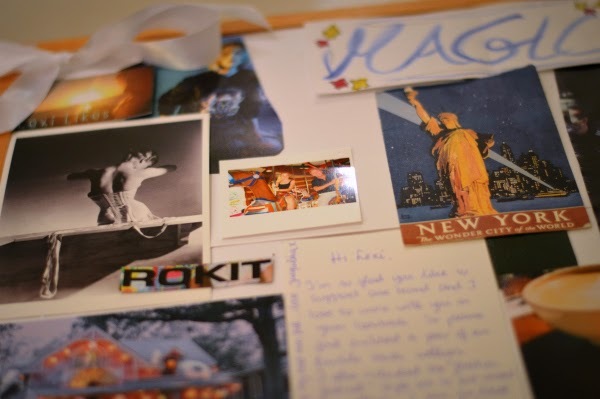 First pick out things you want to use for your collage. 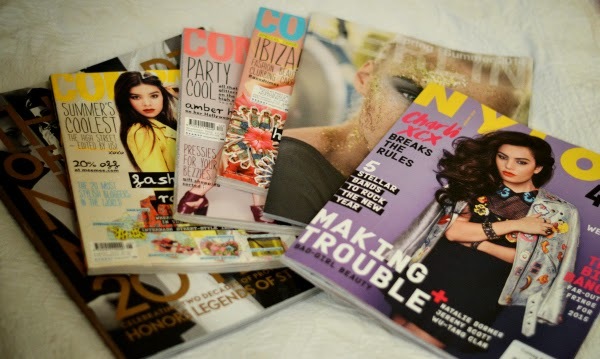 You can cut out pictures and pages you like from magazines, or an even better option is to print some images from tumblr (but I'm far too lazy). 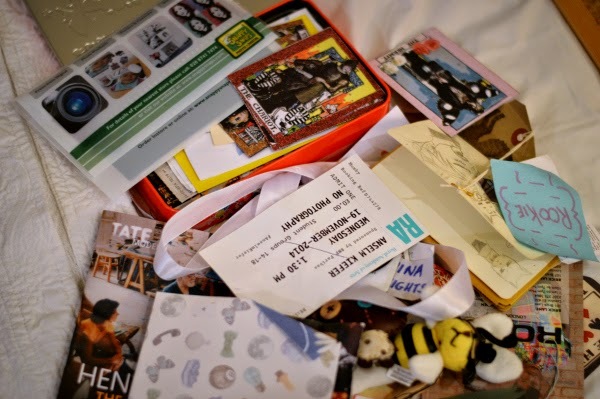 I also chose letters, some film pictures, postcards and an insanely adorable bear keyring to hang from one of the pins. Once you have all your favourite things collected, start playing around with the arrangement of them. I actually like to put white paper on my board before I do this because I prefer it as a background but it's up to you. For this one, I actually used an old water colour painting of the word 'magic' as a sort of title, to try and convey strange magic rookie vibes, and the whole thing about this being my magic, because it's a collection of my favourite things and memories. If you're feeling snazzy you can add glitter, because let's be real who doesn't love a bit of sparkle? It's a nice way to enhance images and if you have a few bare spots it blends in nicely. I like to keep mine on my desk, to help strike inspiration when in a rut. Hope you all enjoyed this DIY. I actually really like these posts, so might be doing them more often. If any of you try this out, tweet me a picture @lexi_likes or tag me on instagram @lexi_law. Much love. 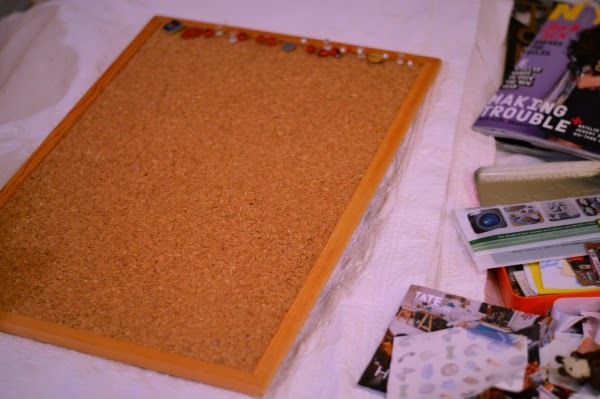 ok i can't get over the timing of this post because i was literally thinking about getting a cork board for my room yesterday but i had no idea of what to do with it to make it, you know, less of a notice board and BOOM this post happens. I was reading how directors and stuff come up with moodboards collage the aesthetic they want for their films, and now I'm super inspired to make a moodboard, it's such a fun idea!! This is a lovely post. 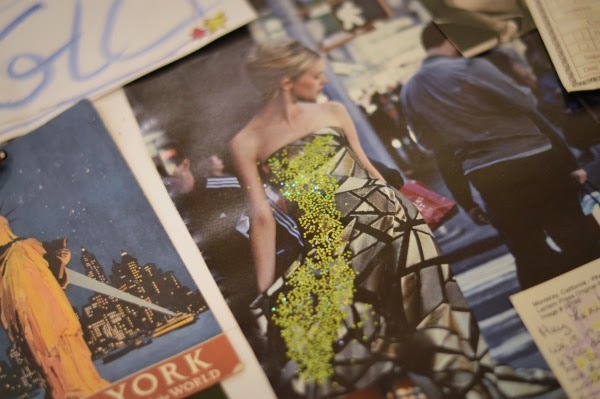 I love moodboards.